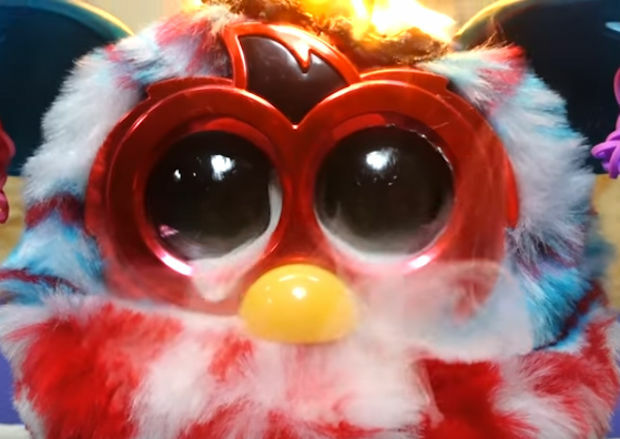 I don’t know why nightmares like the Furby exist, but at least we can kill them… with fire… from the inside. Then watch whatever canned demons are inside, as they escape from it’s dead ashen husk. In this video, a red hot nickel ball is called on to perform the exorcism. The searing hot sphere sinks nicely into it’s evil cranium creating one hell of a Furby candle. Smoke escapes it’s evil and dead eyes. Then tears. The entire top of it’s head is a blazing inferno and the last of it’s inner demons have now escaped. The corpse is quiet and restful for the first time in it’s existence. Evil has been vanquished and balance restored to The Force. God bless these holy men, doing God’s work with their red hot nickel balls, purging the world of such vile creatures. Now do the rest of these vile creations!